The roots of the Monahan Funeral Home, Inc. can be traced back to the Harry B. Bender Funeral Home founded in 1898. As was common practice at the time, the funeral service business operated in conjunction with a furniture store located on Lincoln Square in Gettysburg. Eventually the business was moved to the Wabash Hotel, which is the current Adams County Court House. Finally in 1922, the furniture business was sold and the funeral home was established at its current location at 125 Carlisle Street. 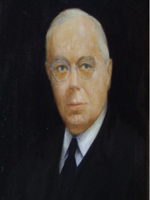 In 1934 Mr. Bender retired leaving the family business to his son, J. Milton Bender, who had worked with his father since 1915. As the business grew the need for another funeral director arose. Robert J. Monahan joined Mr. Bender’s staff in 1954, moving to Gettysburg with his wife, Ann, from Norristown, Pennsylvania. Mr. Monahan graduated from Eckels Mortuary School in Philadelphia in 1947. Mr. Monahan took over the business from Mr. Bender in 1964. His sons, William P. Monahan, who graduated from Pittsburgh Institute of Mortuary Science, and Thomas M. Monahan, who graduated from Mount Saint Mary’s College with a B.A. degree in Accounting and Catonsville Community College with a Mortuary Science degree, joined the family business in 1975 and 1982 respectively. Additional staff members include Kevin M. Neiderer who joined the Monahan Funeral Home as a licensed funeral director in 2000. Ismael (Mel) Garcia and Wayne E. Mickley joined the staff in 2004. Mel, who is fluent in Spanish, is especially helpful communicating with our Hispanic community in Adams County and Wayne is a retired biology teacher from the Conewago Valley School District.